This weekend sees the British tradition of Bonfire Night (or, Guy Fawkes Night) taking place across the country, marking 407 years since the plot to destroy Parliament and assassinate James I was foiled. Although the plot was concocted by 13 members, the name synonymous with the event is Guy Fawkes (or Guido Fawkes); most likely as he was the individual discovered by authorities guarding the gunpowder. The event holds much traditional cultural interest to this day – for instance, The Houses of Parliament are still ceremoniously searched by the Yeomen of the Guard for before the State Opening. To celebrate, we have selected some of the best BANGing works from the collections here at Liverpool University relating to Fawkes and Fireworks. Parliament declared the 5th of November as a day of commemoration and thanksgiving (this was enforced until 1859). For many years to come pamphlets were published on the anniversary date of the event, to remind readers of the consequences of disloyalty to the king and parliament. 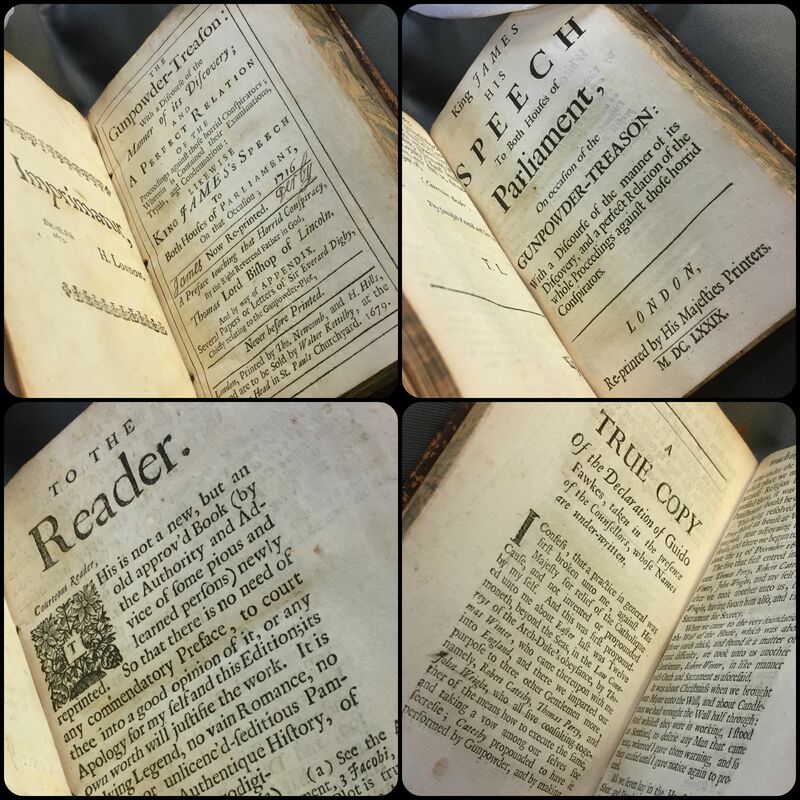 This pamphlet (SPEC Knowsley 118), published in 1679, printed the confessions of the conspirators and the speech of James I. Although bonfires were a common sight, fireworks were not a popular mode of celebration on the 5th of November until the 1650s onward. 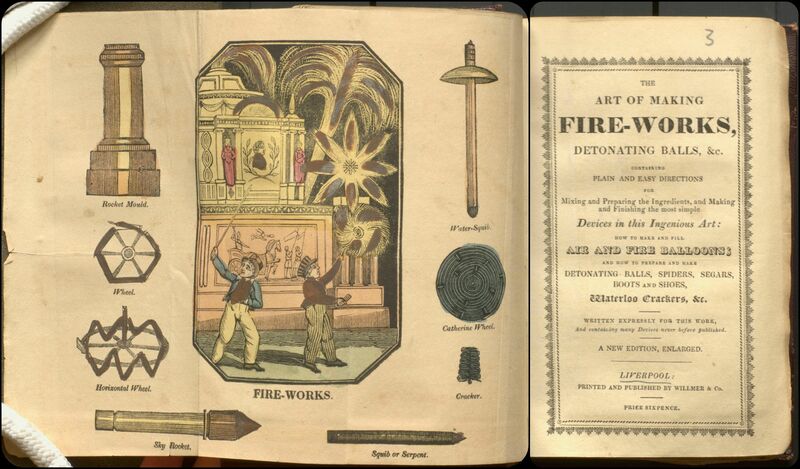 This locally printed pamphlet (SPEC G35.14(3)) from the early nineteenth century demonstrated how to make fireworks using gun powder and various other household objects with detailed instructions and colour diagrams (a health and safety nightmare by modern standards). This small Protestant chapbook (SPEC Oldham 157(17)) produced in the mid nineteenth century was aimed at retelling the story of Guy Fawkes for children. 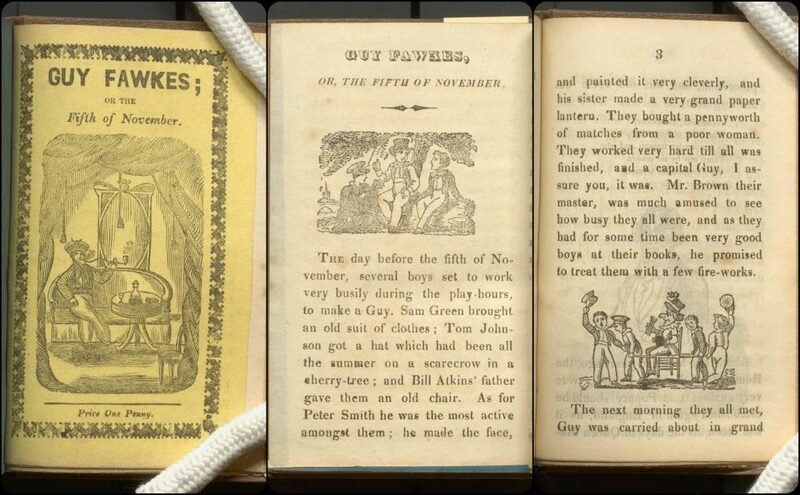 Chapbooks became a popular method to disseminate tales with a moral meaning to children. The main characters in this particular publication build a guy for a bonfire, and the narrator uses the opportunity to provide a religiously-driven message – the conspirators of 5th of November are presented as Catholic sinners, who acted against the authority of the King. Skipping forward around 150 years: although still synonymous with celebration, fireworks displays, and bonfires, the anti-establishment sentiments of the 5th of November hold much cultural weight in modern literature and media. 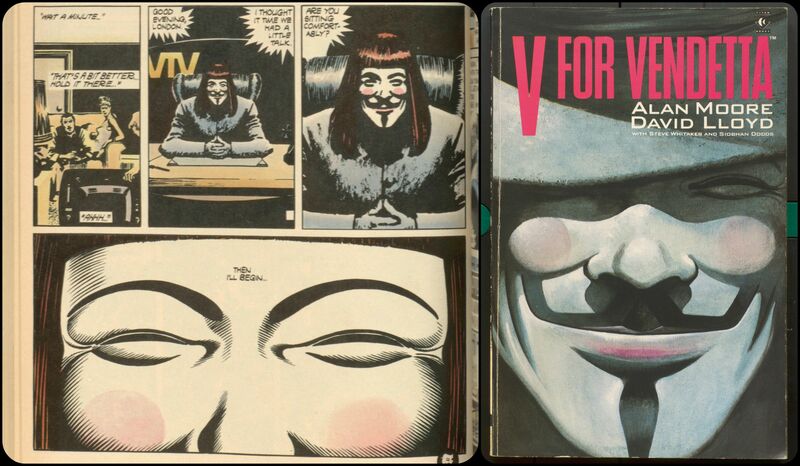 V for Vendetta is a DC Comics series by Alan Moore and artist David Lloyd (also developed into a 2006 movie). The series follows V, an Guy Fawkes mask wearing anarchist, who rebels against the dystopian United Kingdom setting of the fascist dictatorship Norsefire. In the Science Fiction Foundation Collections held here, we have a 1990 copy, the first edition printed in the U.K. (PN6737.M66.V46 1990). As usual, the items featured in this post are available to consult in the reading room here at Special Collections and Archives. Please email scastaff@liverpool.ac.uk for more information. However, our reading room is silent study; please leave all fireworks at home. This entry was posted in 17c printed books, 19c printed books, Children's Books, pamphlets, science fiction, sf and tagged Bonfire Night, chapbooks, Children's Literature, Guy Fawkes, Pamphlets by scastaff. Bookmark the permalink.